Take the ‘Dealing with Emotions’ Course and Learn the Real Purpose of Emotions – Yours and Your Massage Clients’! All massage therapists need technique, but how many do you need? All massage techniques work (to some extent) or they would soon disappear. In order to get rid of the pain and tension, techniques move the stuck energy in your body and energy field to one degree or another…and that usually brings up some trapped emotion. So, why fulfill your Continuing Education credits by adding another technique that will just do exactly the same thing that the ones you already know do? Better to find out what to do with that emotion that your techniques are bringing up. That’s the idea behind this online group forum course. It unravels the mystery of what to do with emotion – your own as well as other people’s. 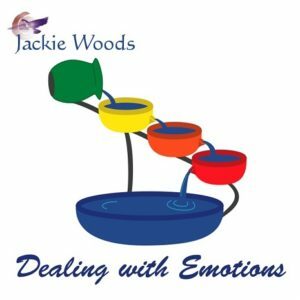 This course spells out the real purpose of emotions and shows you proven ways to use that emotion to aid in the growth and healing process. No longer does emotion just have to be something that gets in the way. It can now be a powerful tool that turns ordinary therapy into profound change. Best of all, you can take the course online so there is no need to travel. In fact, this is one Continuing Education course that doesn’t even use up your whole day or weekend. It can easily fit into your existing schedule without having to give up any valuable work time. Note: This course consists of 6 classes conducted over a 6 week period (one class every week). Each class includes a homework assignment (awareness exercise) that lasts for 1 week. The course participant will log in to the password protected website to read the lesson material, receive the homework assignment, guided meditation (to be done daily), and several test questions to complete over the 1 week period between classes. The lesson instruction, along with a homework assignment and a guided meditation, will be available for reading on the password protected Student website. Your password will also give you access to an Online Student Message Board. At the message board, you will answer discussion questions and share with other students about insights you have learned. A Course Moderator will monitor the Online Student Message Board and a Mentor will be available for additional support with the class lessons. Use the process of working through layers of stored emotion and clearing the space. Discover the consequences of “stuffing” unacknowledged emotions in the physical body. Understand the basic steps of filling a space with a heart quality once the emotion has been cleared. Examine the difference between reaction and expression. Understand the concept of “reclaiming ownership” of a need. Have the experience of expressing anger to clear the space and claiming the missing heart quality. Discover the concept of being defined by your fears and experiment with defining from the inside instead of outside. Review the steps for processing an emotion. Examine areas of your personal life defined around a fear and use the quality of Honesty as a support in redefining. Define the difference between Grief and Sadness. Investigate how grief was dealt with in the past and contrast that to the use of the express/clear/claim a heart quality method being taught. Examine the concept that shared heart qualities can never be lost. Be introduced to clearing techniques for the three covered emotions specific to the way the emotion is experienced in different people. Understand the relationship between awareness and clearing as they relate to the intensity of emotion. Work with the relationship between the outside and inside worlds as they relate to the clearing process visa-vis the responsibility of others. Examine the difference between being able to get Love through another person and having to use that avenue, rather than claiming love within. Explore the process of adjusting the method of “doing” to accommodate a newly claimed heart quality. This course consists of 6 classes conducted over a 6 week period (one class every week). Each class includes a homework assignment (awareness exercise) that lasts for 1 week. The course participant will log in to the password protected website to read the lesson material, receive the homework assignment, guided meditation (to be done daily), and several test questions to complete over the 1 week period between classes. Perform the homework assignment for each class and post their answers to 3 discussion questions and a final empowerment (75 word minimum each posting) for each class on an online message board to share with other course participants. A course moderator will supervise the postings and provide comments and suggestions. Complete a 250-word essay assignment for each class (1 hr for each class). Complete a final multiple-choice test on the overall subject matter with a passing score of at least 80%. Fill out a course evaluation. A mentor will be available to support the CE student in their process with the lessons. In the event of a documented emergency where a component of the required course responses are missed, contact your mentor within 2 days for details about how to complete the responses. The completed responses must be submitted within one week in order to receive credit.